Cookie sales may take a back seat to fighting identity theft and other computer crime now that Girl Scouts as young as 5 are to be offered the chance to earn their first-ever cyber security badges. Armed with a needle and thread, U.S. Girl Scouts who master the required skills can attach to their uniform’s sash the first of 18 cyber security badges that will be rolled out in September 2018, Girls Scouts of the USA said in a press release. The education program, which aims to reach as many as 1.8 million Girl Scouts in kindergarten through sixth grade, is being developed in a partnership between the Girl Scouts and Palo Alto Networks (PANW.N), a security company. 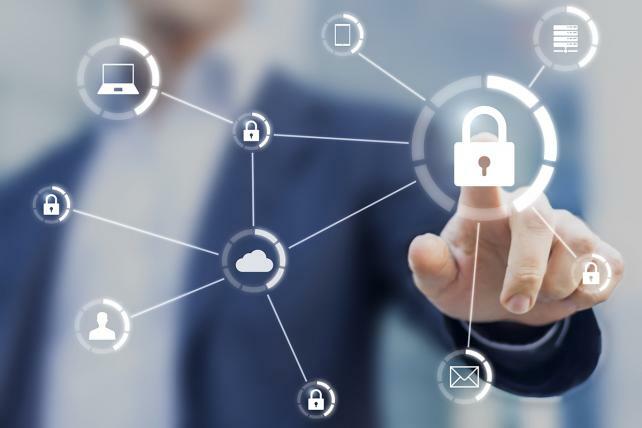 The goal is to prevent cyber attacks and restore trust in digital operations by training “tomorrow’s diverse and innovative team of problem solvers equipped to counter emerging cyber threats,” Mark McLaughlin, chief executive officer of Palo Alto Networks, said in the release. The move to instill “a valuable 21st century skill set” in girls best known for cookie sales is also aimed at eliminating barriers to cyber security employment, such as gender and geography, said Sylvia Acevedo, the CEO of the Girl Scouts of the USA. Even anonymized and aggregated consumer data may not be as anonymous as people have been led to believe, according to new academic research. Researchers concluded that aggregated data — big batches of information on things like mobile devices’ movements, compiled for use in summarized form — can be unraveled to reveal the actual movements of specific individuals with about 73% to 91% accuracy, even from pools combining hundreds of thousands of users. Today’s schools are more connected than ever: most education records are stored digitally, and students and staff use apps and websites for daily instruction, homework, and administrative tasks. These apps, websites, and digital storage vendors collect a wide variety of data about students, including kids’ names, birth dates, internet browsing histories, grades, test scores, disabilities, disciplinary records, family income information, and more—often without parental consent or clear, adequate security protections. The Campaign for a Commercial-Free Childhood (CCFC) has teamed up with the Parent Coalition for Student Privacy (PCSP) to create The Parent Toolkit for Student Privacy: A Practical Guide for Protecting Your Child’s Sensitive School Data from Snoops, Hackers, and Marketers. The kit offers clear guidance about parental rights under federal law, helps parents ask the right questions about their schools’ data policies, and offers simple steps parents can take to advocate for better privacy policies and practices in their children’s schools. And, thanks to a generous grant from the Rose Foundation for Communities and the Environment, it’s free! To download the toolkit now, or for more information, click here, or on the image above. Campaign for a Commercial-Free Childhood (CCFC) supports parents’ efforts to raise healthy families by limiting commercial access to children and ending the exploitive practice of child-targeted marketing. In working for the rights of children to grow up—and the freedom for parents to raise them—without being undermined by corporate interests, CCFC promotes a more democratic and sustainable world. Learn more at www.commercialfreechildhood.org. The chairman of the Federal Communications Commission on Wednesday outlined a sweeping plan to loosen the government’s oversight of high-speed internet providers, a rebuke of a landmark policy approved two years ago to ensure that all online content is treated the same by the companies that deliver broadband service to Americans. The chairman, Ajit Pai, said high-speed internet service should no longer be treated like a public utility with strict rules, as it is now. The move would, in effect, largely leave the industry to police itself. Seattle Mayor Ed Murray has directed that curbs be imposed on internet providers to protect customers’ data privacy. Under a new rule scheduled to take effect May 24, the three companies that have cable franchise agreements with the city must get customer permission if they want to sell personal information or web browsing details. The city privacy protections come after President Donald Trump signed a bill last month rolling back upcoming federal measures that would have stopped internet companies from collecting and selling customer information without permission. Netflix and Amazon have been nominated for hundreds of Emmys and Golden Globe awards in recent years, and that is a testament to both the quality of those companies and the transformation of television. But some of the credit is also due to “net neutrality,” the legal regime that nurtured and protected the open internet and streaming TV in the first place. Streaming, after all, is a cheaper and better form of television. For that reason, it is something the cable industry would not have allowed to thrive had it been left to its own devices. Fortunately, net neutrality rules prevented cable companies from killing or interfering with streaming television during its infancy. That’s because we’re never gonna give up fighting for Net Neutrality. Today’s protest is only our latest effort to protest the chairman’s plans to destroy the open internet. Read more at Free Press. View the original music video that inspired the Rickroll meme below. A lobbying group representing Facebook, Google, Twitter and other web giants told the U.S. Federal Communications Commission yesterday that it shouldn’t weaken net neutrality rules — an early warning shot at the ideas contemplated by the agency’s new Republican chairman, Ajit Pai. Under Pai’s draft plan, which he has not yet presented publicly, internet providers like AT&T, Comcast*, Charter and Verizon could soon escape tough regulation: They would only have to promise in writing that they won’t block web pages or slow down their competitors’ traffic, sources have said. While Congress is on recess over the next two weeks, we will be mobilizing people like you to flood congressional offices and town halls and speak out about this issue. Your support will help lift up the voices of everyday people whose lives are most impacted in this fight, including media makers, communities of color and resistance fighters. Your ability to connect and communicate shouldn’t be up for sale, and we’re ready to activate the masses to save the internet you love. The House of Representatives joined the Senate Tuesday in voting to repeal new Federal Communications Commission rules that would have stopped internet service providers (ISPs) from using and selling consumers’ web browsing data without their consent. But a look at the comments submitted to the FCC reveal that many of the opponents of the privacy regulation came not from any “community” but from groups with extensive financial ties to phone and cable companies — with some of their claims hinging on the absurd. Image courtesy of The Intercept. Read more about this recent ruling at The New York Times. Take action! 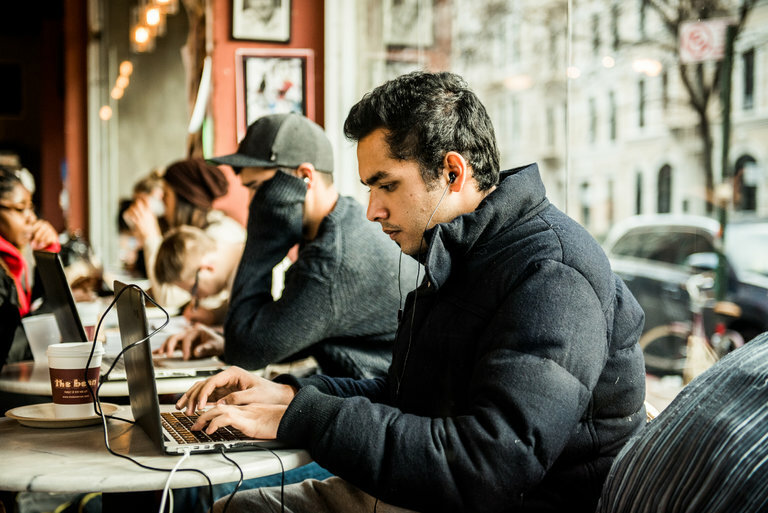 Net neutrality is essential to everything we need in our society and democracy — from educational and economic opportunities to political organizing and dissent. Millions of people fought for over a decade to secure lasting Net Neutrality protections. We will not accept anything less. We urge you to reject any attacks on real Net Neutrality. To make your voice heard in telling lawmakers that net neutrality is not negotiable click here. 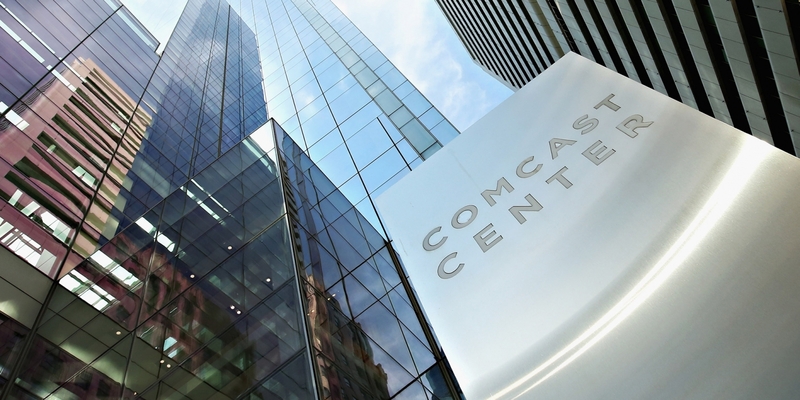 There’s big news about the legal battle that has been waging over the issue of net neutrality. A panel of judges has now ruled in favor of the FCC’s net neutrality rules. 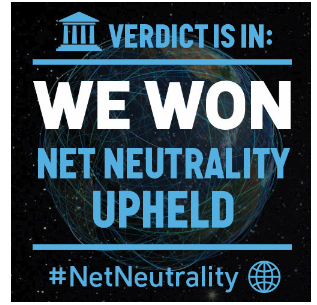 “Today’s ruling is a great victory for the millions and millions of internet users who have fought for years for Net Neutrality. They have fought to ensure that the FCC has the power to protect everyone’s right to connect and communicate online. The court upheld the agency’s clear authority to prevent internet service providers from unfairly interfering with our communications. It confirmed that this authority stands on bedrock communications law and recognized the vital role that the open internet plays in our society. Read the entire June 13 Free Press announcement. For information about the ruling see the June 15, read more at the New York Times.